I'm fortunate to be able to be a member of two woodturning clubs based in Sussex. The first club I joined was South Downs Woodturners, now based in Lancing. The meetings are on the first Thursday of each month, with occasional full day demonstrations on Saturdays. 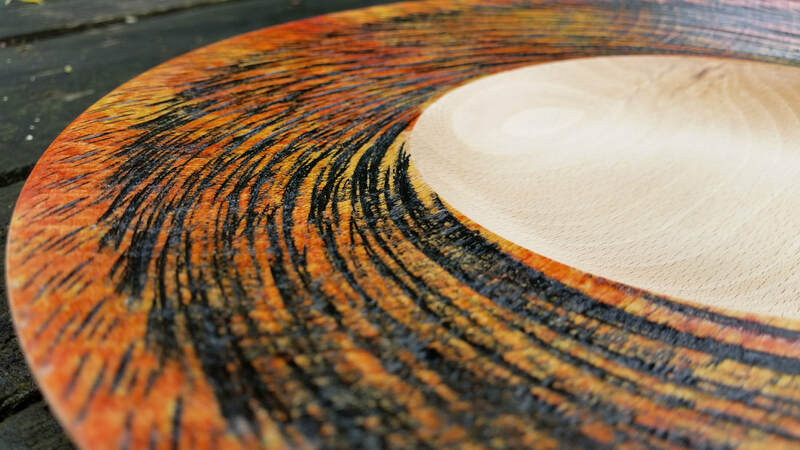 Very soon after joining my first club, I joined a second club - West Sussex Woodturners. Meetings are on the first Sunday of each month at Sullington Village Hall. The spirit stains I use are produced by Chestnut Products and are available from some of the suppliers in my Wood Turning Suppliers section. As well as using their spirit stains, I also make extensive use of their sanding sealers, waxes and lacquers. I'd like to thank Terry at Chestnut Products for his support - since May 2018, Terry has been supporting me with supplying stains, iridescent paint, waxes and sprays. Martin Saban-Smith produces a range of finishing products and water-based stains. Olivers Woodturning supply the full range of his waxes, oils and colours. There are many internet suppliers of woodturning tools, equipment and blanks. These are the suppliers I have used who I've found to be reliable and great to deal with. In no particular order!